It’s Monday morning, and as your unbury yourself from thick layers of the familiar musty numbness that characterized your college days, you taste the zesty sting of buffalo sauce at the corners of your mouth. Must be the morning after Super Bowl Sunday. Scrambling to your feet, a few things go through your mind. How much money did you lose on the coin toss? Will your boss recognize the smell of light beer and Cheez-Its as you stroll in 45 minutes late? Is it even worth shaving? How will you get your children to forgive you? We get it – Super Bowl Sunday represents the last meaningful professional football game for eight months, and there’s no way in hell you’re going to let a work schedule, basic hygiene or the well-being of an eight-year-old get in the way. 1.) Explain that screaming at the television isn’t as crazy as it seems. If the late Billy Mays, the Shamwow guy and every contestant on American Idol insist upon screaming at the camera, it seems reasonable to yell back. Besides, how else are you supposed to let Peyton Manning know just how much of a bum you think he is. 2.) There’s a big difference between "betting" and "gambling." At the time, "betting" that the National Anthem would take under 49 seconds to sing didn’t seem like much of a "gamble" at all. 3.) Dumping Gatorade on the victor’s head is tradition. The fact that you doused your child with a half-full Coors Light just shows your resourcefulness. 4.) 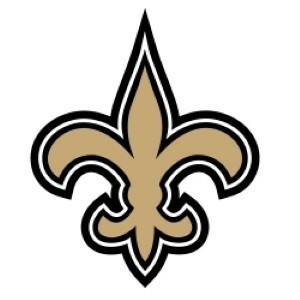 It’s okay for a grown man to cry, provided he’s a Saints fan.